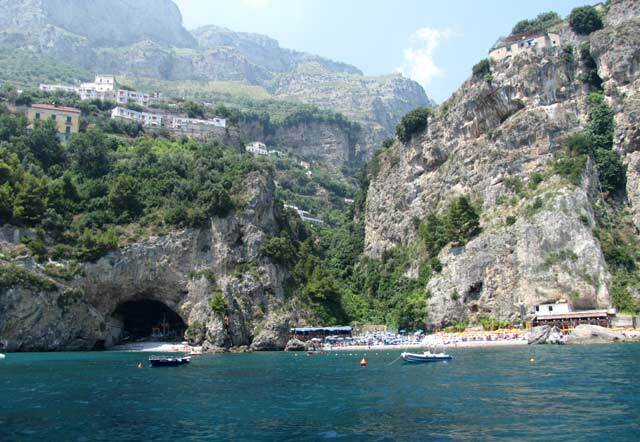 Vettica di Amalfi is a little and quite village located 2 km far from Amalfi centre . The small fraction Vettica, can be reached by running along the coastal road. Peaceful position: about 100 m of grounds which slope down from the coastal road to the sea by a series of staircases through gardens and terracing full of typical Mediterranean shrubbery .Going down from one of those stairs (250) , you reach the wonderful beach of S. Croce .The beach is equipped of 2 private lido and 2 restaurants that offer to the tourists traditional dishes and a very friendly atmosphere. 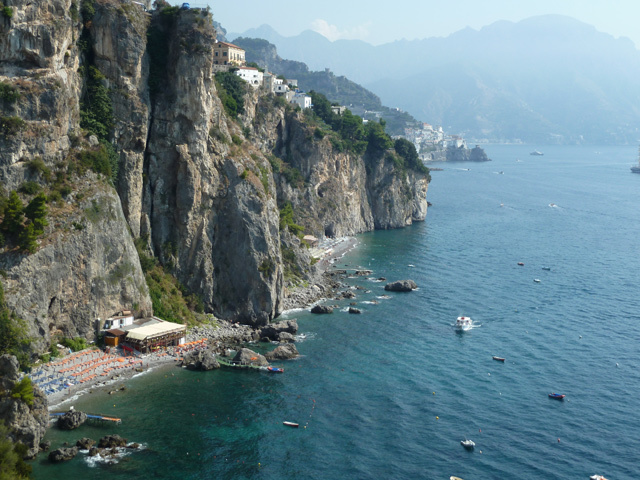 To go back up you can get small boats which in only 10 minutes take you on a splendid ride on the sea to the port of Amalfi, where you can take the bus to go back to Vettica . During spring/summer all the beaches feature open restaurants and bars, rental of umbrellas and deck chairs.